We have now made it to step 12 on our journey to learn our faith. Step twelve is about the 12 Marks of the Church. In the last chapter, we learned that Jesus picked twelve apostles from his disciples to spread what he taught them to all the world. We also learned that he selected Peter to be the leader of the twelve apostles. This was how Jesus started his Church. Peter was the leader of the apostles being the first pope. The remaining apostles were the first priests of the Church. They were actually considered bishops since they were responsible for going throughout the entire world to teach the good news of Jesus. The question that we asked at the beginning of the last chapter was: Why did our Lord choose twelve apostles? He chose Twelve to tie back to the Old Testament of the Bible to represent the Twelve Tribes of Israel. Today, there are many Christian traditions and denominations. Many experts say there are more than 30,000 different Christian denominations. How do we know which one is correct? Which church or churches have the truth. The most important question here: Is there a church that has the fullness of Christ’s truth? Who are the other sheep that Jesus was talking about? What does Jesus desire for the other sheep? Did our Lord start many churches or only one church? How do we know which church or churches Jesus established? How do we help the other sheep to know that the Catholic Church is the Sheepfold of Christ? Remember from the last chapter, that the Sheepfold of Christ is the same as Jesus's Church. I am the gate. Whoever enters through me will be saved, and will come in and go out and find pasture. A thief comes only to steal and slaughter and destroy; I came so that they might have life and have it more abundantly. I am the good shepherd. A good shepherd lays down his life for the sheep. A hired man, who is not a shepherd and whose sheep are not his own, sees a wolf coming and leaves the sheep and runs away, and the wolf catches and scatters them. This is because he works for pay and has no concern for the sheep. I am the good shepherd, and I know mine and mine know me, just as the Father knows me and I know the Father; and I will lay down my life for the sheep. I have other sheep that do not belong to this fold. These also I must lead, and they will hear my voice, and there will be one flock, one shepherd. We see in that reading that Jesus called his Church a Sheepfold. We also see something new that we didn't read before. “I have other sheep that do not belong to this fold. These also I must lead and they will hear my voice and there will be one flock one Shepherd.” This really helps us to better understand and to answer the question that we had: Did Jesus establish one church or many churches? Well, Jesus definitely said there will only be one flock of sheep, one Church with one shepherd. Jesus Christ was the first leader of his one Church. We call Jesus the head of his Church and we call his Church a body. The Church, like us, has one head and one body. That makes sense to me. In the body of Christ the people in the Church all believe what the Church teaches. Jesus gave the authority to the apostles to teach the whole world what he taught, even to those who don’t believe. Jesus gave the authority to the bishops back then. The bishops still have that same authority to teach everybody the one and only complete truth about Jesus and his Church. All of us in his Church are taught and believe what the Church teaches and we all receive the same sacraments. Just like when Jesus started his one Church and chose Peter to be the head of his Church on Earth as the first pope, we still have one head of the Church today. Pope Francis takes the place of Jesus here on Earth. He has the same authority that was given to St. Peter 2000 years ago. Every pope in history has had the same exact authority as our first pope St. Peter had. Today's chapter is titled the Marks of the Church. A mark is something that we can use to know that something is true or it shows that it is true. The Church has four marks. I will describe each of them right now. The first Mark of Christ’s Church is that the Church is Holy. The Church teaches us all to be holy. Everyone who follows the teachings of the Church and stays away from mortal sin will become and remain holy. The Church is here to help us to do just that. The sacraments of the Church are most especially here to help us do that. The second Mark is that the Church is catholic. 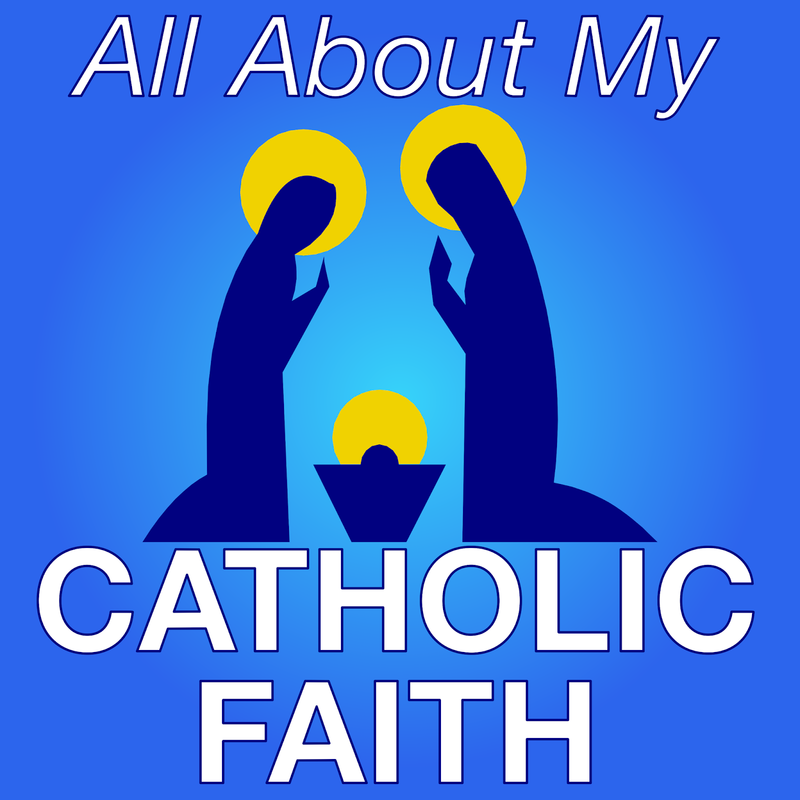 Here catholic means universal, which means that the Church is spread throughout the whole world. The Church is not for just one group of people or one country or one race. The Church is for everyone in the entire world, universal, catholic. The third Mark of the Church is that the Church is apostolic. The word apostolic comes from the word apostle. The Church today is apostolic because the bishops of the Church today are the successors of the first bishops, who were the twelve apostles. The fourth Mark of the Church is at the Church is one. There is one fold and one shepherd. Jesus told us that there would be some people that were not in the sheepfold, or the Church, but that he still is their shepherd. Jesus told us that one day everyone will belong to his One, Holy, Catholic, and Apostolic Church. This is one of the most important things that you and I can pray for. We should pray that everyone comes together again through the one gate into the one sheepfold, the one true church. The Catholic Church. It's important to pray for this because Jesus wanted it to be this way. He didn't say to Peter “You are rock and on this rock, I build my many, many churches.” Nope, remember he said, “Peter You are Rock and on this rock, I build my Church.” That meant one Church. For the first thousand years after Jesus died, there was only one true Church of Christ. It’s only during the last thousand years or less that we've seen people break away and start their own churches. People such as Martin Luther, John Calvin, John Wesley, Roger Williams, and John Clark all started their own Christian churches. Each of these “man-invented” churches all believes something slightly different from the Catholic Church as well as from one another. These other churches still have some truth, but since they are not teaching everything the Catholic Church is teaching, they are not teaching the entire full truth of Jesus Christ. Later, others like Joseph Smith and Charles Taze Russell actually started churches that broke away even further. They didn’t even believe that Jesus is God. It is really a shame that so many people follow men and their versions of the Church of Jesus, instead of following the one true Church that Jesus started himself. There is a very important question a lot of people have. Does everyone need to be in the Catholic Church in order to be saved? The true answer is yes. In order to be saved from your sins and go to heaven, you need to belong to the Catholic Church in some manner. We know that our God is very loving and very merciful. There are still many people who have never heard about Jesus or the Catholic Church. We believe that people like this may still make it to heaven. We certainly hope and pray for that. We believe that if these people live a life of loving God and doing the will of God, they still may make it to heaven. Many people know and believe in Jesus but still don't realize that Jesus started only one Church and that he meant for us to be in that one Church. They might not know that Jesus commanded us to be in that one Church in order to be in heaven. If they really don't know the full truth that Jesus taught, that they should be in the one true Church, then they too may still be saved by the Grace of God. A problem arises when people know about Jesus and his Catholic Church and still refuse to be part of the Catholic Church. They may really be putting their souls in deep trouble. Jesus will be the one final judge about who makes it to heaven when we die. Jesus gave us these rules that we are bound by, however, Jesus is God, and he is not bound by rules. Since he is not bound by rules, he may choose anyone he desires to make it to heaven. I have a question for you. If you were Jesus and you set a rule that everyone must follow you and be in your group in order to be with you forever, what would you say to the person who just flat-out refused to follow your rules? You might say, “Oh well, rules don't matter, come on into my group anyway” or “Come into heaven, I don't care about the rules I set”. I think you and Jesus would really say “I am very sorry. I really wish you would have listened to me. Do you think I was just kidding?” In the end, only God will make that decision so we won't have to. We just need to follow his rules in order to make his decision easy. I told you a few times that Jesus started only one Church. I've also said that he only wanted one Church. Why would you think that he would want people to have many churches all believing something different from all of the other churches? Well, he did not want that at all. We do know that the one Church of Jesus is the Catholic Church. We know this because the Catholic Church is the only church that has all four marks that we talked about. Do you remember what the four marks of the Church are? They are One, Holy, Catholic, and Apostolic. The Catholic Church is the only Christian Church that has all four marks. The Catholic Church is the only church that Jesus started 2000 years ago. 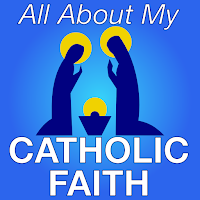 Just as the apostles had to teach about Jesus, we must teach all those who are not Catholic, that the Catholic Church is the one, true, Church of Jesus. We must teach this with love. In the Gospel of John, we read, “By this, with all men, know that you are my disciples if you have love for one another.” In other words, we must show others that we are good, faithful, Christian Catholics, by our love that we have for them and for everyone. In order to be in the Catholic Church, a person must be baptized with water in the name of the Father and the Son and the Holy Spirit. They must also profess and believe what the Catholic Church teaches, and not separate themselves from the Church in any way. Sadly, there are people who say they are Catholic but don't believe all that Jesus taught and passed down through his Church. Some even don’t believe some very important things such as we should not kill anyone from babies in their mother's womb or those who are very old, and that marriage is a Sacrament that God started that is only between one man and one woman. When a man and woman are married, they should not do anything to block God's will for them to have children. They should also live up to their promise that they made to God and to each other to remain married to one another for their entire life. These are also teachings of Jesus and his Church. Do you have any questions for me at this time? Student: Did Jesus found more than one Church? No. We saw several times that Jesus started only one Church with his twelve apostles and St. Peter being the head of that Church. Student: Does the Catholic Church have all four marks of the Church? Yes. The Catholic Church does have all four marks. The Church is One, Holy, Catholic, and Apostolic. Student: Is the Catholic Church here for all people? Yes. That is absolutely true. Jesus told the apostles to go throughout the entire world to preach his good news to every country and all people. Student: Does Jesus want one fold and one shepherd? He did tell us that, and I certainly believe him when he told us that he does want all of us to be in his one Church. Student: What church did Jesus start? Jesus started the Catholic Church. Remember, Catholic means Universal, which means the one church that is for the entire people. Student: In order for us to be saved and go to heaven, what church do we have to belong to? Church teaches us. It's not easy but Jesus never said it would be easy. Jesus really and truly wants all of his people to be in one fold, one church, and for that one church to have one leader. That one leader, of course, is the pope. Today that is Pope Francis. You've read in the Bible that Jesus started his Church so that you and I can make it to heaven. He picked twelve of his disciples to be his apostles, to lead his Church and to take his message to the entire world. He taught them to baptize every one that wanted to follow him and his Church. The apostles needed a leader after Jesus left them. Jesus knew this, so he picked Peter to be the first leader, the first pope of his Church. There was only one, true Church of Jesus Christ back then, led by the pope and the apostles or bishops. That One, Holy, Catholic, and Apostolic Church is still here today. It is still led by the pope and the bishops and helped by the priests, deacons and other religious people. A very cool thing that Jesus told Peter was that his one Church would never, ever end. Even the powers of the devil, evil, and hell will never bring an end to his Church until the very end of the world. Jesus made that promise to us and I certainly believe him. In the next chapter, we will learn about the communion of saints and forgiveness of sins.